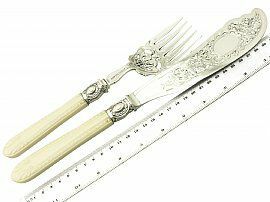 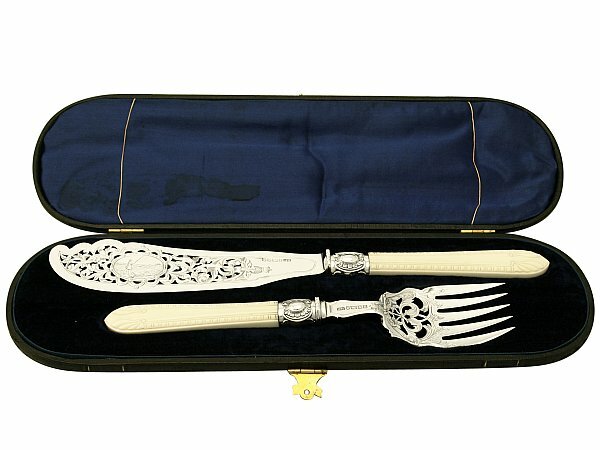 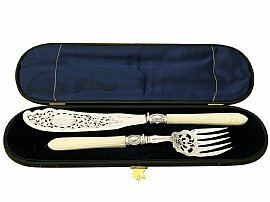 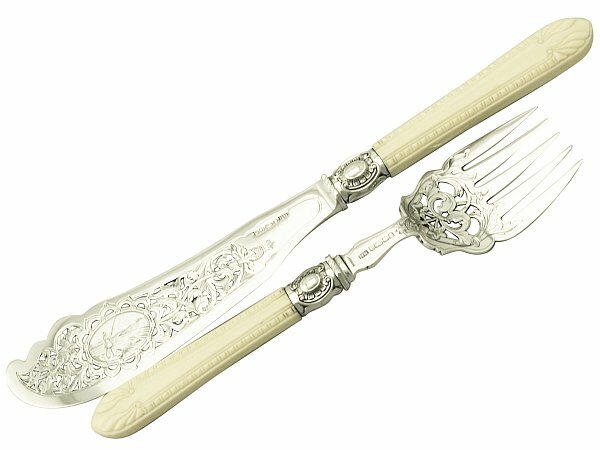 This fine and impressive pair of antique Victorian sterling silver and ivory handled fish servers consists of a serving knife and fork. 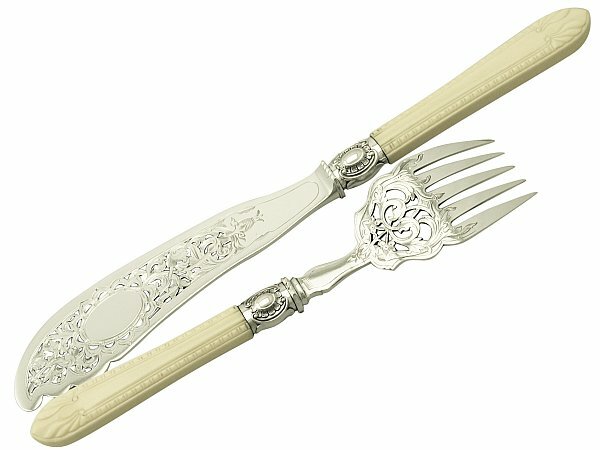 The blade of the knife and the drop of the fork are embellished with exceptional pierced and bright cut engraved interlacing scrolling leaf decoration. 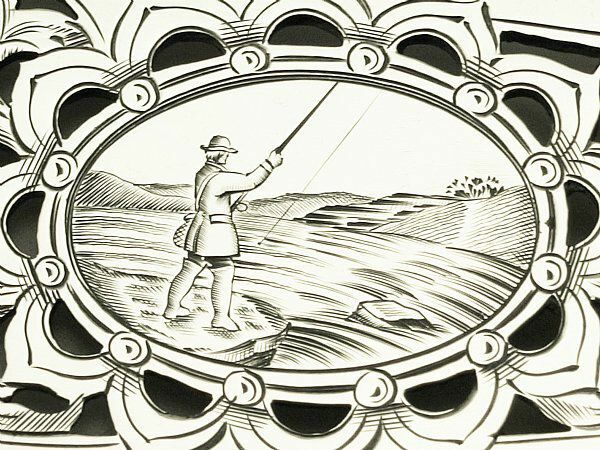 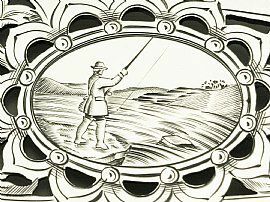 The decoration to the knife blade incorporates a scalloped bordered oval cartouche to each side; the cartouche to the anterior surface depicts a gentleman using a fishing line within a rocky terrain scene. 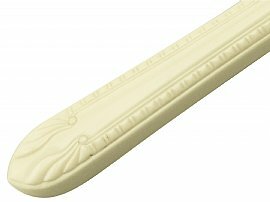 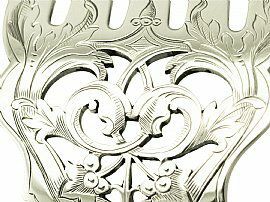 The cartouche to the reverse surface of the blade remains vacant. 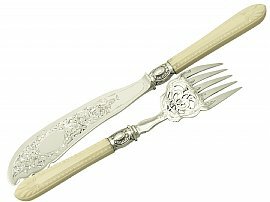 These antique fish servers are fitted with fine and impressive carved ivory handles embellished with a feathered edge decoration to an undulating terminal. 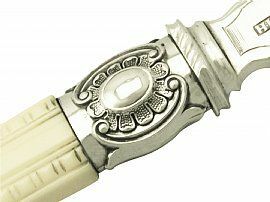 Both servers have impressive sterling silver ferrules, each embellished with a chased decorated scroll and lobed bordered vacant oval cartouche to either side. 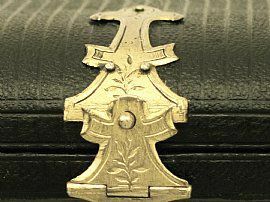 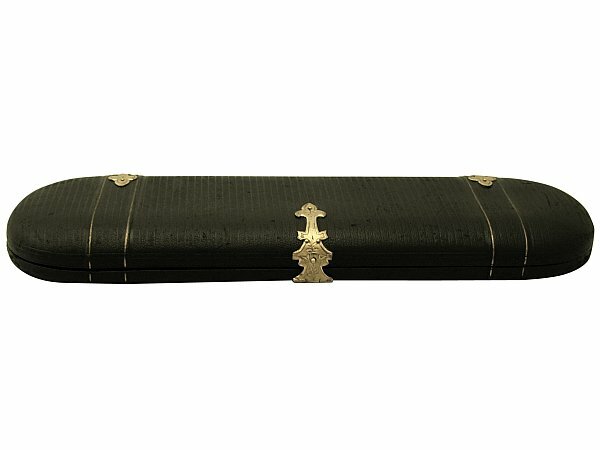 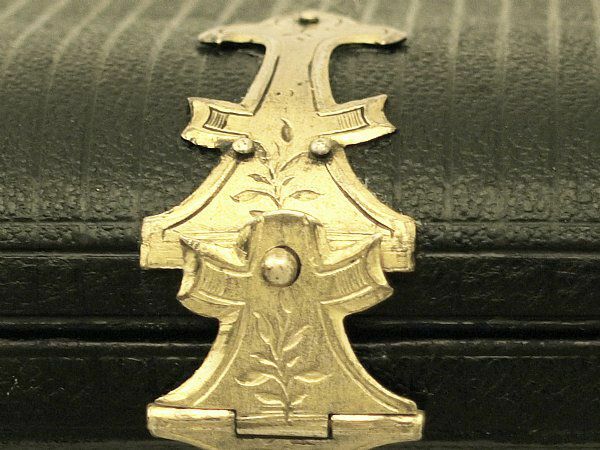 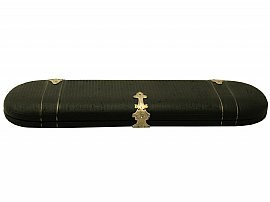 These fish servers are fitted to the original, fine and impressive hinged leatherette box with satin and velvet lined interior, which secures with a gilded metal chest/trunk styled hinged catch and ornamented with further strapping/strap-work. 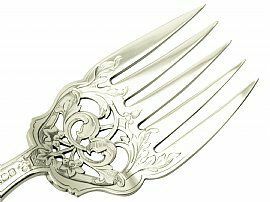 These antique fish servers are an exceptional gauge of silver, exceptional quality and in exceptional presentation condition. 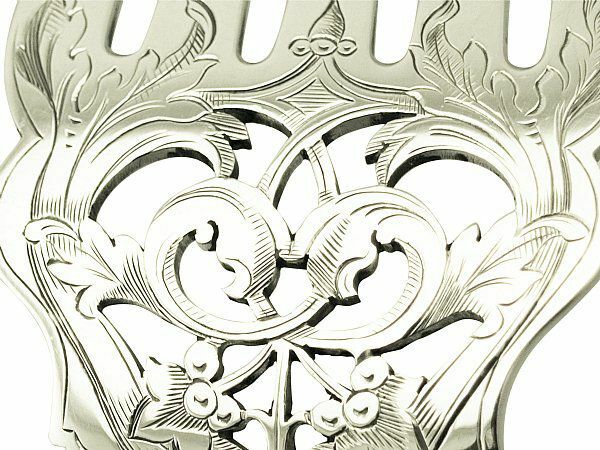 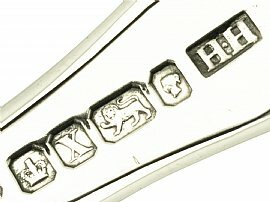 Full hallmarks struck to the surface of the blade of each server are very clear. 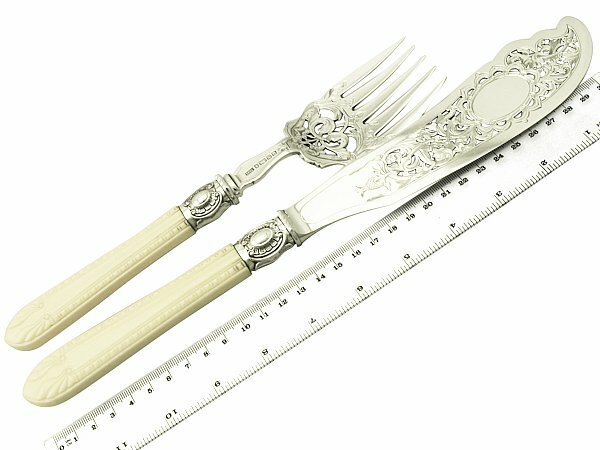 Reflections in photography may detract from the true representation of these pieces of Victorian silverware.